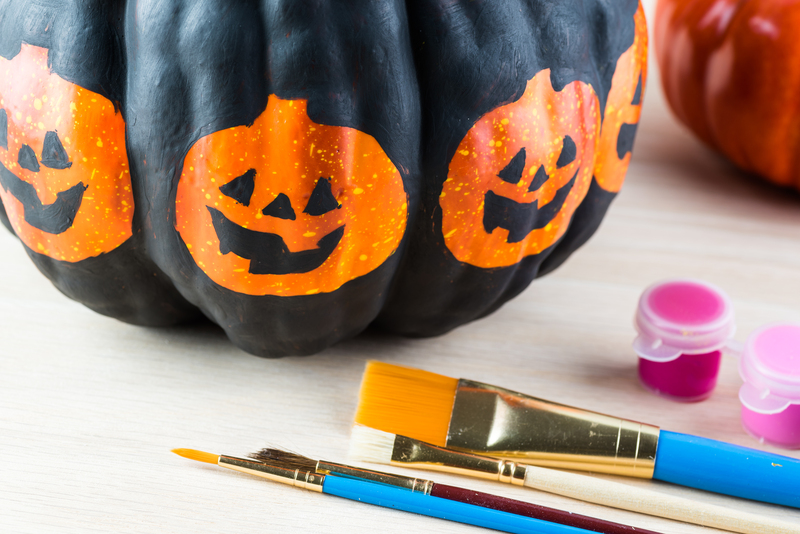 Halloween is not only an opportunity to dress up and go trick-or-treating, but it is also a time to get creative and decorate your home. 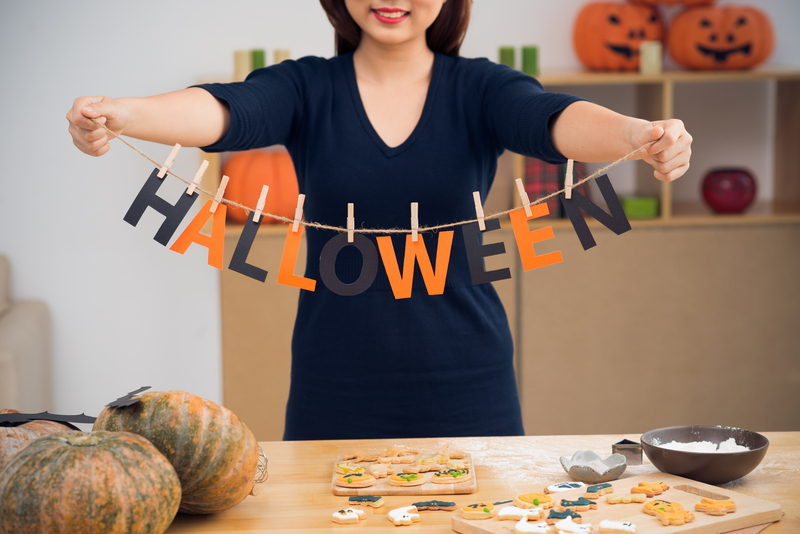 These fun DIY projects will make for a fun night with your family and get you into the Halloween spirit! The world is your canvas and so is your pumpkin! Express your families’ individuality by painting your pumpkins instead of carving them. For a slick look, try painting your pumpkins with a black and white pattern, maybe even adding some lace. Paint your pumpkin however your heart desires. If your favorite color is pink– go for it! Bright colors and neon paint will be eye-catching, especially if you have a black light. Add glitter or stickers to really dress up your pumpkin. Christmas and Thanksgiving wreaths are fairly traditional, so why not a Halloween one? Use an old wreath you can repurpose or stop by the store to buy an inexpensive wreath. 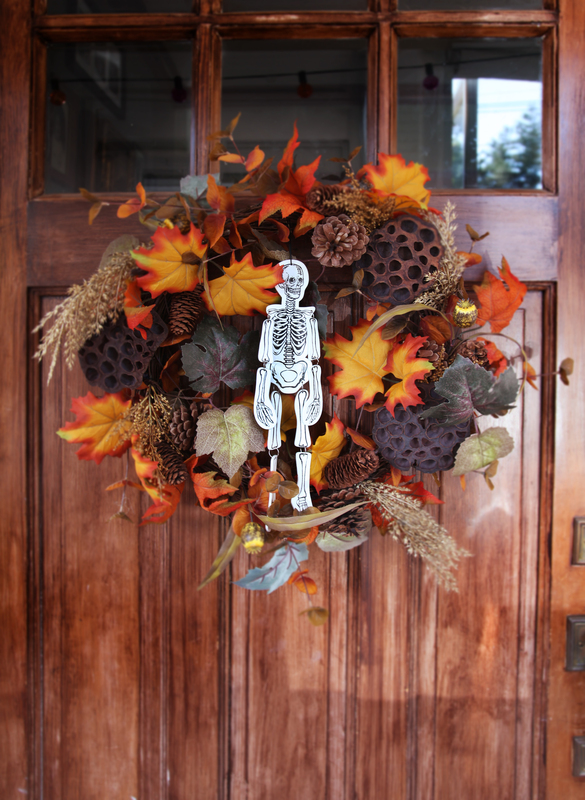 Local grocery stores and craft stores sell small nick-knack Halloween decorations that are perfect to add to your wreath. Consider making a witch or ghost themed wreath, or even a candy themed wreath! It just wouldn’t be Halloween if you walked through a neighborhood without seeing a few houses’ featuring the added glow from luminaries. These are traditionally small paper bags with a candle inside that illuminates cut-out shapes and designs. Some popular shapes include ghosts, bats, a cat or even the word ‘Boo.’ But, don’t limit yourself! Get creative with what you choose to cut out. 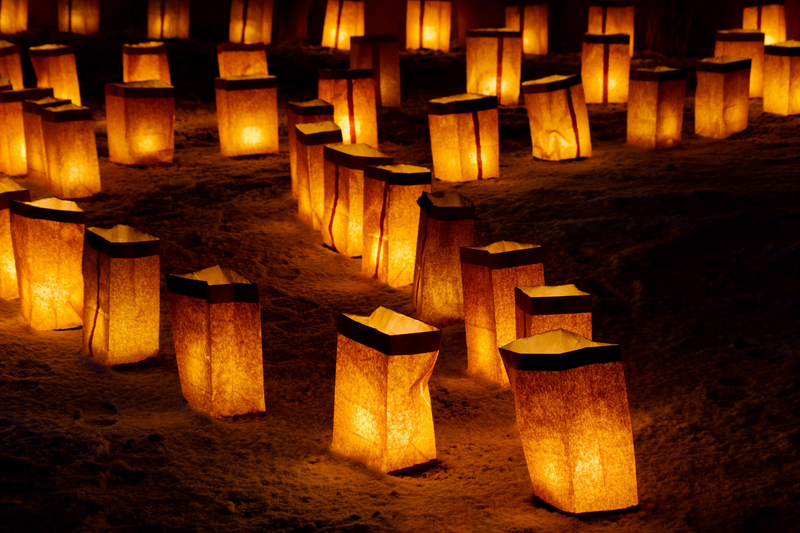 If you live in a windy area, use battery operated tea light candles or consider making luminaries out of old mason jars. You can cut out a design on black paper, glue the design onto a jar and wrap the jar with masking tape. This play on traditional luminaries will be more stable when a strong wind blows and much safer when a bunch of candy-hungry children run up your walkway. DIY flying ghosts are not only kid-friendly, but a fun project the family can do together. Drill a hole in the center of a few old or inexpensive plastic bowls. Run a fishing line through the hole, leaving enough slack so there is length to hang the final product. For each bowl cut two large squares of white fabric. Cut a hole in the center and slide the fishing line through the fabric so it’s laying on top of the upside down bowl. 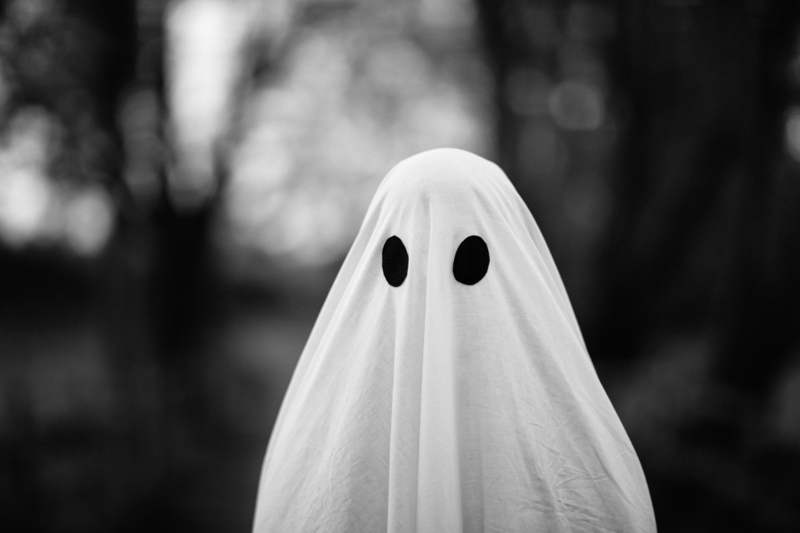 Use black fabric to cut shapes to make the faces of the ghosts, and then adhere that to the white fabric. Finally, hang your ghosts in trees, from your porch or front entryway. Garland is not only easy and inexpensive to make, but can also be combined with other garland for a layered look. All you need is a piece of yarn or string and you can add whatever decorations you like. Consider adding ribbon, cut-outs or even a word or phrase. The beautiful thing about garland is that you can keep it simple or go as elaborate as you want. How do you plan to decorate your home for Halloween? Share your decorating tips in the comments below!